Come on out to Overstock Liquidation on the Lakefield Hwy. this Friday morning, August 22nd. Doors open at 10:00 a.m. but we will be serving Peameal on a Bun before that. Sausages and Hamburgers to follow. Be there early! There's always a lineup of eager shoppers waiting to see what great, new merchandise will be on the shelves. 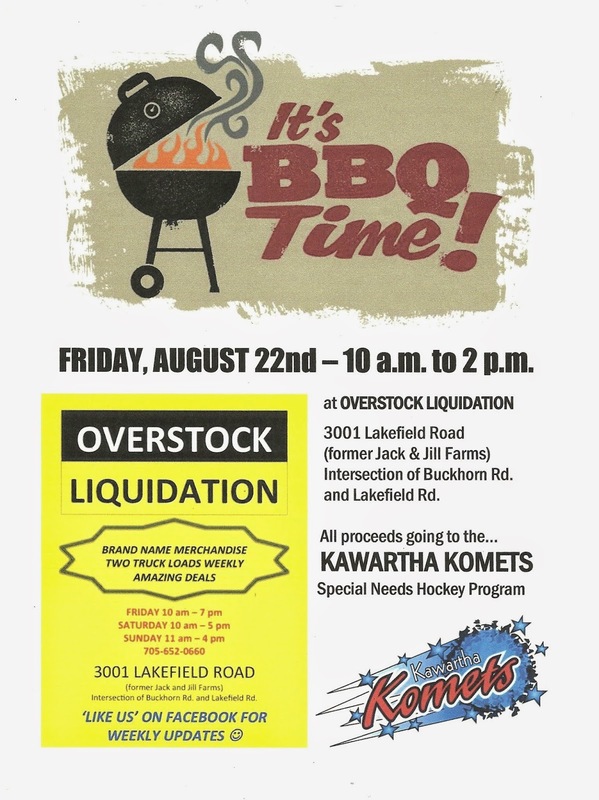 Proceeds from the BBQ go to the Jack McGee Kawartha Komets Special Needs Hockey Program. Come out and support two great causes. Mark Friday, August 22nd on your calendar. See you there!! !